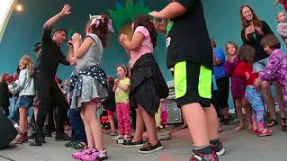 WATCH: Just Can’t Get Enough at the Bandshell Concert Series Thank you to the several hundred people who attended our performance closing out the Cameo Summer Bandshell Concert Series at the Port Hope Bandshell. Our personal highlight? Sharing the bandshell with 39 friends, old and young, for Depeche Mode’s JUST CAN’T GET ENOUGH.